Dr. Trevor Price was born in Pontypridd, South Wales, on March 20, 1931. He graduated with a Bachelor of Science (Economics), specializing in Political Science and International Relations, from the London School of Economics in 1952, and with a Diploma of Education from the Institute of Education at the University of London three years later. 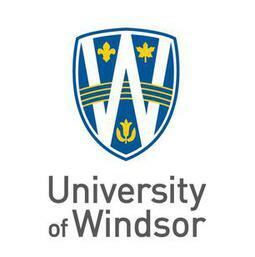 He emigrated to Canada where he taught and continued his own education with a Master of Arts in Political Science from the University of Windsor in 1965. He furthered his graduate work at Queen's University in Kingston (Ontario) and completed a Doctorate of Philosophy in Political Studies in 1975. He taught Political Science for nearly three decades at the University of Windsor where he was granted the tenured position of professor. He has authored several titles including Windsor 1892-1992: A Centennial Celebration, an official history of the city with Dr. Larry Kulisek, and Heritage along the Detroit River, a historical look at development of the waterfront communities in southwestern Ontario. He is currently working on a new biography about the Shawnee Chief Tecumseh. Now a Canadian citizen, Price is widowed and has four grown children: David, Nigel, Alison and Shelagh. He is now married to Anita Colley and they reside in LaSalle, Ontario. In recent years he has continued to teach part-time and has been very active with the local heritage community, including serving for the past two years as President of the Essex County Historical Society.